PLASTIC THERMOFORMING OR INJECTION MOLDING? 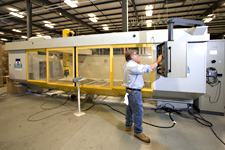 Tooling costs for thermoforming are 85 percent to 90 percent lower than tooling costs for injection molding. Thermoforming, particularly pressure forming, is more cost effective for very large, thin-walled parts, where the tooling costs would be prohibitive with injection molding. Despite pressure forming's lower costs, nothing is sacrificed in terms of quality: Plastic thermoforming can achieve highly cosmetic finishes, providing the look and feel that meet the end user's expectations. 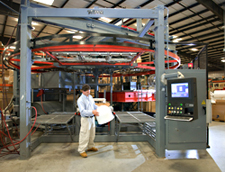 Thermoforming applications often also use painting and secondary assembly in the production of value-added parts. In the end, the best way to decide how to proceed is with the assistance of a trusted, knowledgeable plastics processor. Plastechs' engineering support staff can walk you through the design and manufacturing of your part to ensure the best geometries and most efficient processes to meet your bottom line requirements.